Claudia Hill is an Enrolled Agent, nationally recognized tax professional and frequent lecturer on taxation of individuals, tax planning, and representation before the IRS. 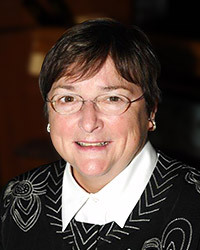 She is Editor in Chief of the CCH, Inc. Journal of Tax Practice & Procedure and a frequent presenter for Enrolled Agents, CPAs, and other tax-related organizations including the IRS. 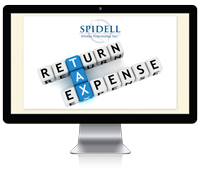 She also presents Spidell webinars and has spoken at Spidell’s Summer Tax Seminar. Claudia coordinates a “dream team of tax controversy advisors” for the IRS Watch blog on Forbes.com. She has served many years as a special advisor to NAEA Government Relations Committee, is a NTPI Fellow, and was named by Tax Analysts as a 2011 Person of the Year. As an industry and taxpayer advocate, Claudia has testified before the Senate Finance Committee, House Ways & Means Committee, Treasury Department, and President’s Tax Reform Panel. She continues to maintain an active tax practice in Cupertino, California. Spidell Publishing, Inc. is registered with the National Association of State Boards of Accountancy (NASBA) as a sponsor of continuing professional education on the National Registry of CPE Sponsors. State Boards of Accountancy have the final authority on the acceptance of individual course for CPE credit. Complaints regarding registered sponsors may be submitted to the National Registry of CPE Sponsors through its website: www.nasbaregistry.org. This webinar is designed to meet the requirements for 6 hours of continuing education for the California Board of Accountancy. Level: Basic. Field of Study: Taxes. Delivery method: Self-Study. For more information regarding administrative policies, such as complaints or refunds, contact Spidell Publishing at (714) 776-7850. There are no prerequisites or advance preparation required.